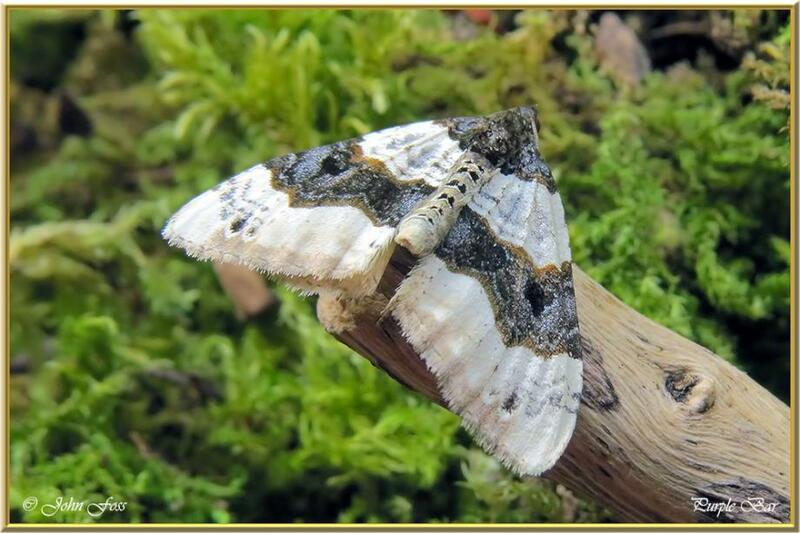 Purple Bar - Of all the carpet moths this is the smallest with a wing span of around 22 mm. It flies from May to August and is attracted to light. It can produce two generations depending on the location. I photographed this one at Greaghnafarna in Co. Leitrim in early July.